Come see the Famous Magician David Copperfield at MGM Grand on the strip. Book your tickets here today, and receive exclusive reserved seating. Copperfield is sure to please, from kids to adults, don't miss out! David Copperfield is the perfect combo of nostalgia, magic and showmanship, master illusion! With a touch of the supernatural ... just to keep things interesting! Save when you purchase tickets to see David Copperfield in Las Vegas. 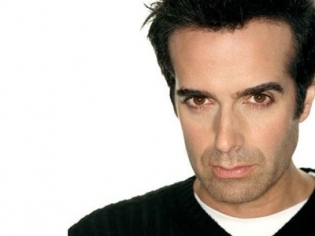 Copperfield’s charismatic personality and sense of humor make the show a humorous delight. The magic provides its own wow factor and he uses no flashy show girls or over the top production elements to distract you from the magic. A comedy and magic show that is fit for all ages. I’ve always wanted to see a good magic show and I was very satisfied, my husband and boys enjoyed it so it was a great night. You won’t be disappointed. He’s quite the illusionist. I had a good time when I went with my family to see him. I had heard about him for years and I am glad I went. Great performer. I’m not sure why he has bad reviews because the show was first class. His humor and showmanship is everything you would want in a Vegas show. He had a standing ovation from everyone in the audience if that should tell you something. We attended the 11/9/14 show. I highly recommend it. This was such an Amazing Show. I had always wanted to see David Copperfield in person. He is such a talented entertainer. I really loved his performance. l was in total awe of the special effects. I was in love with Copperfield since I was a little girl and always looked forward to his tv specials. When I came to Vegas for the first time, he was a must see for me! However, he was much more impressive on tv. We had seats right at the table beside the stage. It allowed us to see too much. I won’t lie, he had a view tricks that were truly amazing and mind blowing but the “magic” just wasn’t there for me. This show SUCKED! He is way too into himself. He ruined my daughters love for magic! I had always been a copperfield fan! So i finally take my daughter and a friends daughter to see him at the mgm a couple years ago! She was so sxcited to see him loving magic as she did! Amazingly she gets picked from the audience to help him do an illusion. They take her backstage and then she comes out does the mind reading type trick with him and i could see she was upset. She comes back to me in tears! I said what happened… They told her to lie and say she randomly came up with an answer! He actually made her lie to look like he was amazing and read her thoughts! What way to crush a little girls love for something by making her lie for entertainment value! She has hated any kind of magician since! The show has some great illusions that make you say.. wow how did he do that? The show was great. We let ourselves be absorbed into the show. David is a great magician who knows how to keep you interested. Is David Copperfield a great illusionist? Yes he is, but his show isnt the wow it used to be. His acts were still good, but for me the wow/ it factor is gone. For what we had paid, the show was just all right.